A decade in blue, who knew? A week or so ago, someone floated a trivia question -- I can't remember who, I saw it on Jayson Stark's Twitter account -- asking which four major league players have played a dozen years with one team, and only one team. The answer was Ryan Howard, Joe Mauer, Yadier Molina and David Wright. In the process, a number of other wrong guess revealed other players who have played at least a decade with one and only team: Justin Verlander (11), Felix Hernandez (11), Dustin Pedroia (10) and a few others. 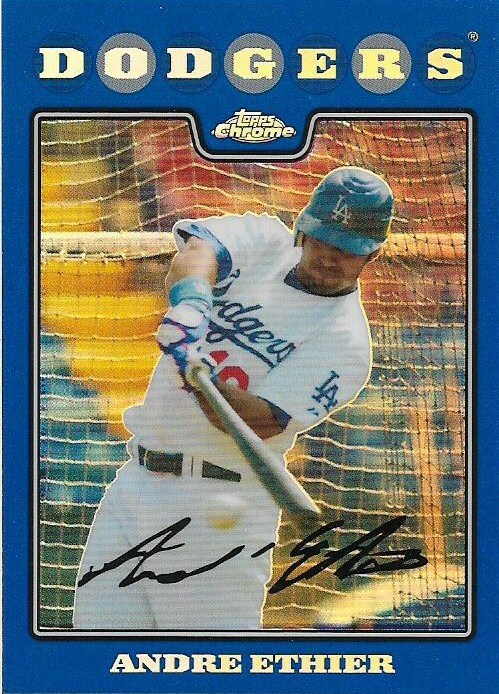 Andre Ethier, with 10 years with the Dodgers and only the Dodgers. 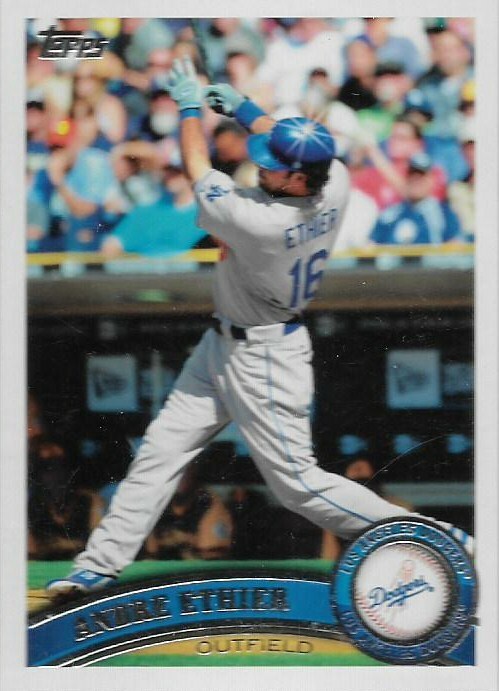 Ethier started out with the Oakland A's, but never played for them, was traded in the 2005 offseason, and played his first game for the Dodgers in 2006. 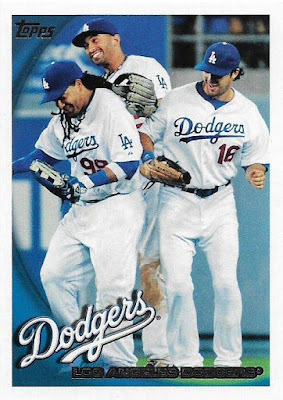 Since that time, dozens of players have come and gone in the Dodgers outfield, including the two players you see celebrating with Ethier up at the top -- Manny Ramirez and Matt Kemp. 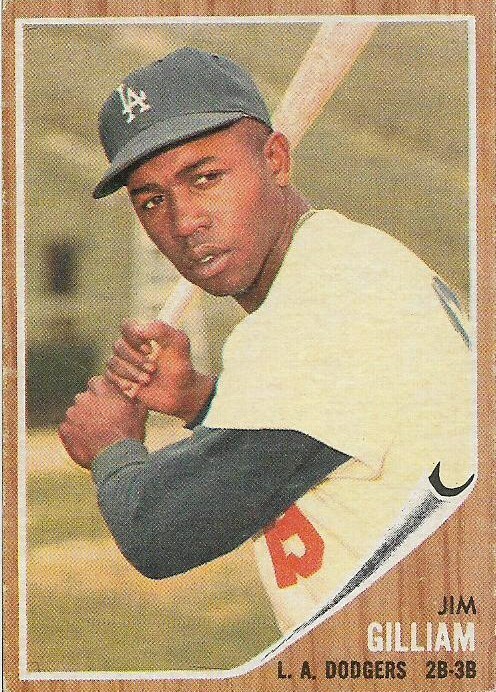 A few other outfielders who wore out their welcome with L.A. quicker than Ethier: Kenny Lofton, J.D. Drew, Jason Repko, Ricky Ledee, Marlon Anderson, Delwyn Young, Juan Pierre, Jose Cruz, Luis Gonzalez, Brady Clark, Andruw Jones, Xavier Paul, Garret Anderson, Scott Podsednik, Reed Johnson, Tony Gwynn Jr., Juan Rivera, Jerry Sands, Jamie Hoffman, Shane Victorino, Jerry Hairston and Bobby Abreu. 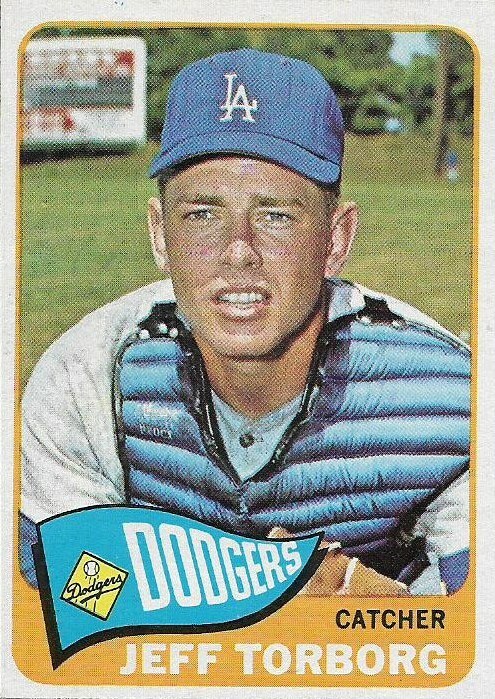 I am stunned by this development, as I'm sure is every rational-thinking Dodger fan. 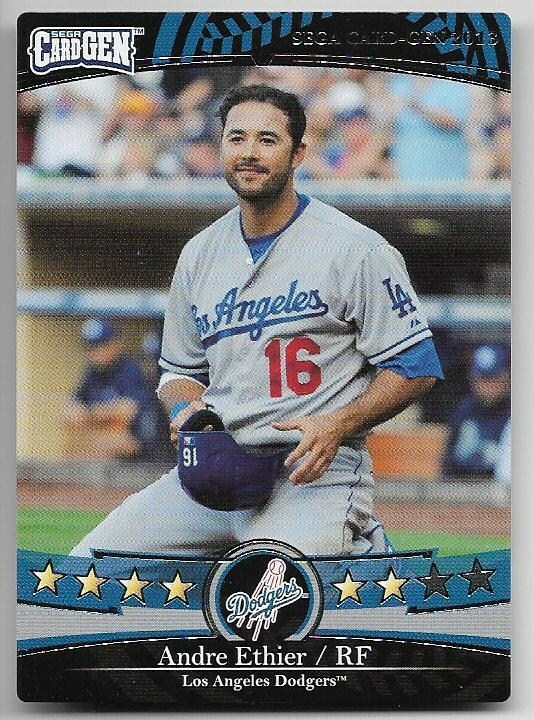 After Ethier's decline from his 2009 season, nobody figured he'd last with the Dodgers beyond 2012. 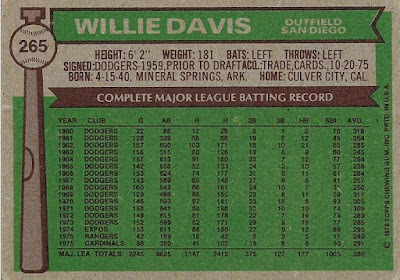 I'm sure he has been offered up for trade in countless deals and he has been the odd-man-out in the outfield for a couple of years. Yet, somehow, he has survived, almost five years removed from his All-Star seasons, and is the Dodgers' most reliable outfielder this year, batting nearly .300. I never saw this coming. 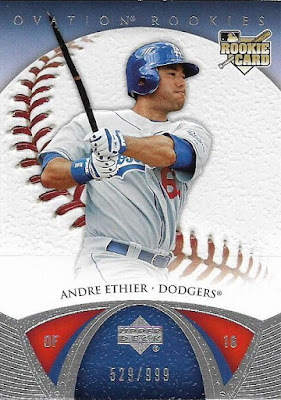 A few years ago, Ethier was among the "Dodgers I Collect," but I removed him because I didn't want anyone who was about to be traded as someone I collect. Card companies never saw this coming either. Ethier is repeatedly left out of sizable sets like Stadium Club and Allen and Ginter. He popped up in inserts back in 2009 and 2010, when he was hitting game-winning home runs like every other week, but his insert days are long gone. Even Ethier's base cards aren't great. His posed shots make him look too much like a dreamboat (which my female connections tell me he is). He looks too deliberate on his action shots, like he's thinking too much. 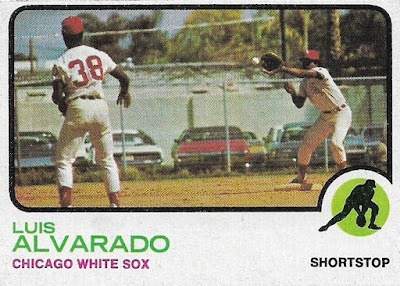 And in the field, Topps always has him gliding under the ball for a one-handed grab. No sliding, no getting himself dirty. It's too plain. 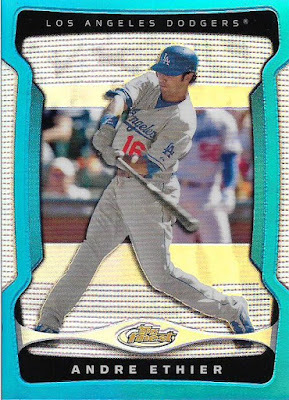 Still, I dug up a few of my favorite Ethier cards. Heck, someone needs to recognize that he managed to pull off 10 straight years with the Dodgers. I like this card because it shows baby-faced Ethier back when he was part of a grand trio that included Matt Kemp and Russell Martin. Now all his friends are gone. 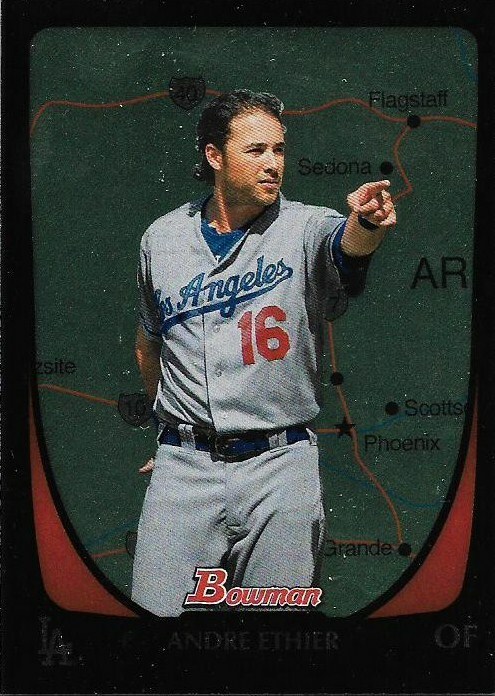 This card was procured at the height of Ethier mania in 2009. I'll always remember that and the beautiful blue border. 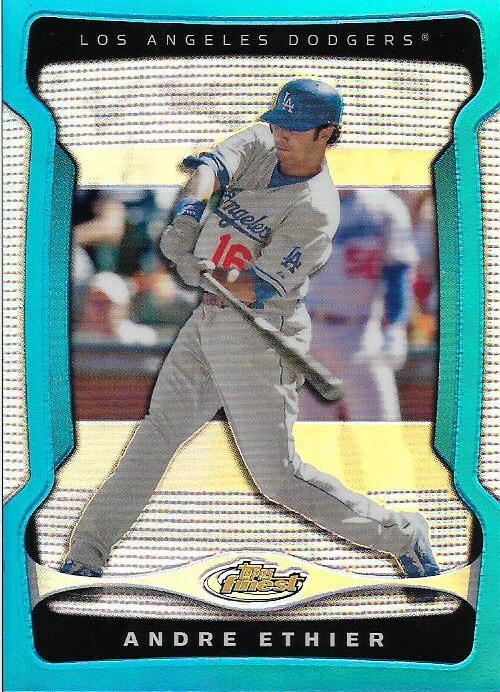 Speaking of blue, Ethier's 2008 blue refractor is so tremendous that I have two of them. I like this one just because he looks like he's directing some annoyingly confused tourists. "Sedona is THIS WAY!" 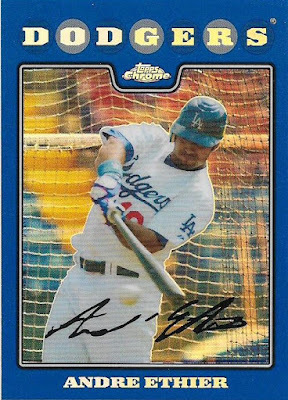 Most of Ethier's swings look too deliberate. This is a rare case of him wailing on the ball. I think he got it all. This one, too. And, of course, I had to show the gimmicked-up sparkle variation. 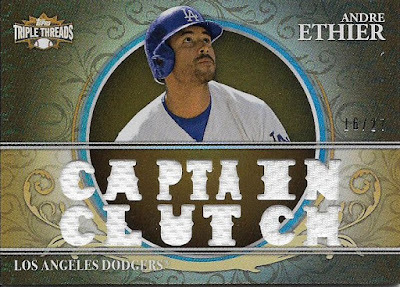 I'm not much for Triple Threads' "spell it out" ways, but this one is appropriate, as it refers to his four game-ending home runs in 2009. 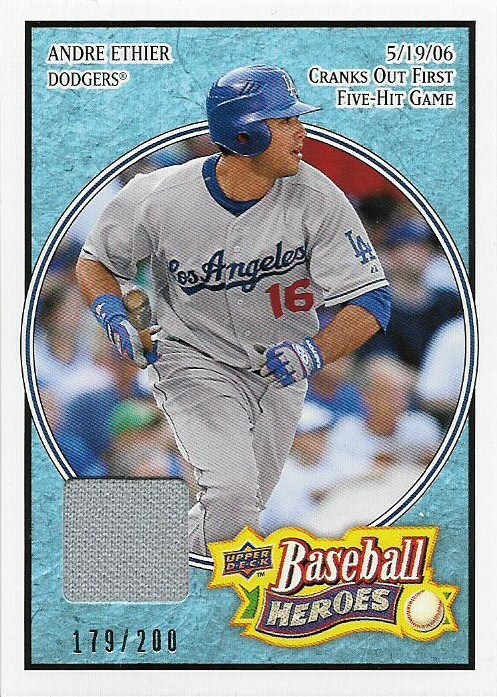 These days we settle for an Ethier home run whenever it happens. It doesn't look like anything positive occurred on this play, it looks like Ethier was thrown out at the plate. But out of context, he appears to be begging for change. 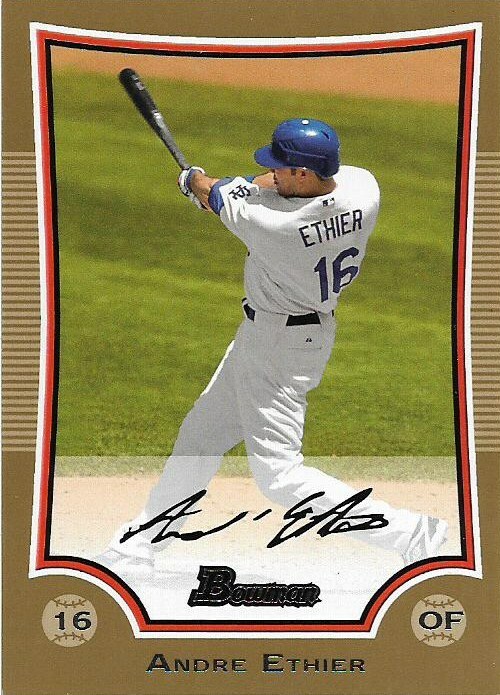 I have 10 different relic cards of Ethier and six different autographed cards. The Baseball Heroes relics come in many different colors. But I stopped with just this one before things got too crazy. 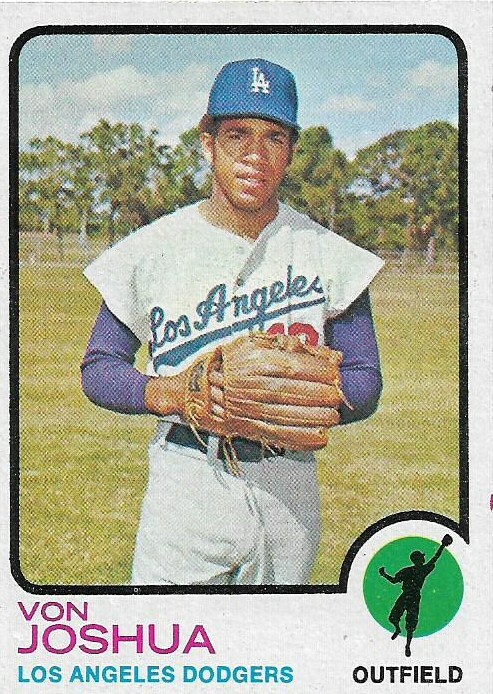 As you can see, I had a little problem back when Ethier was a big deal. Times are different and now people like Kershaw and Greinke are the go-to men (the hitters are too busy getting no-hit), but Ethier is still around. Nobody ever would have guessed. I'm sure that even the young baseball fans know that managers Don Mattingly, Paul Molitor, Matt Williams and Robin Ventura were defined by their playing careers long before they became "known" as managers. But what about managers like Clint Hurdle or Bruce Bochy or Lloyd McClendon? Does anyone under 30 think of them as a player first, manager second? I know I do. I grew up with those guys on the playing field. Same with Walt Weiss and Ned Yost and Joe Girardi. But I understand the perspective. 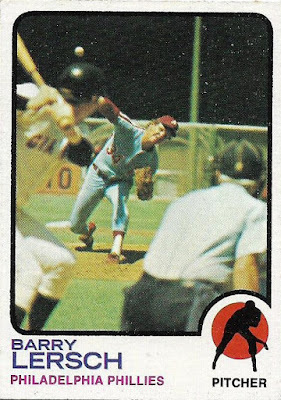 When I was a young baseball fan in the 1970s, I was perpetually surprised that these "old" men with bellies, waddling out to the pitchers' mound, were actually once players with -- baseball cards! 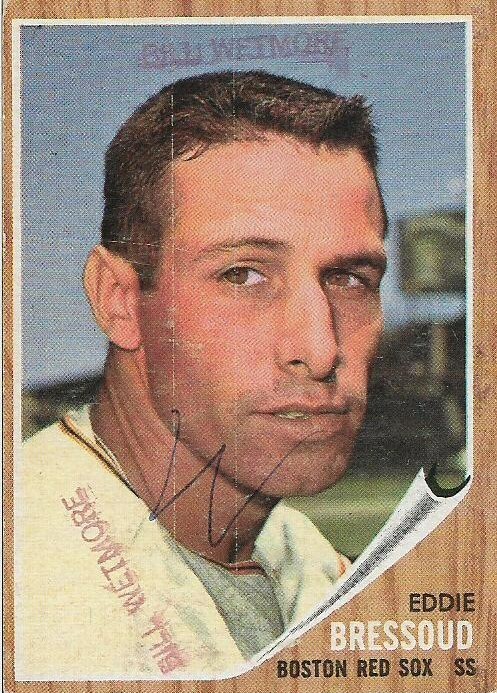 Time after time, once I discovered vintage, I stumbled across current managers as players. Chuck Tanner was a player! 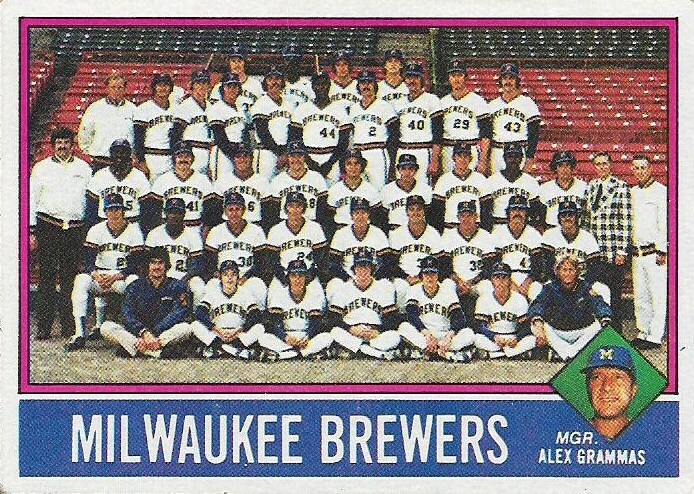 So was Jeff Torborg and Whitey Herzog and Joe Altobelli! Even Don Zimmer, for crying out loud, had baseball cards where he's fielding and hitting and stuff! The more obscure the name, the more surprising it was. 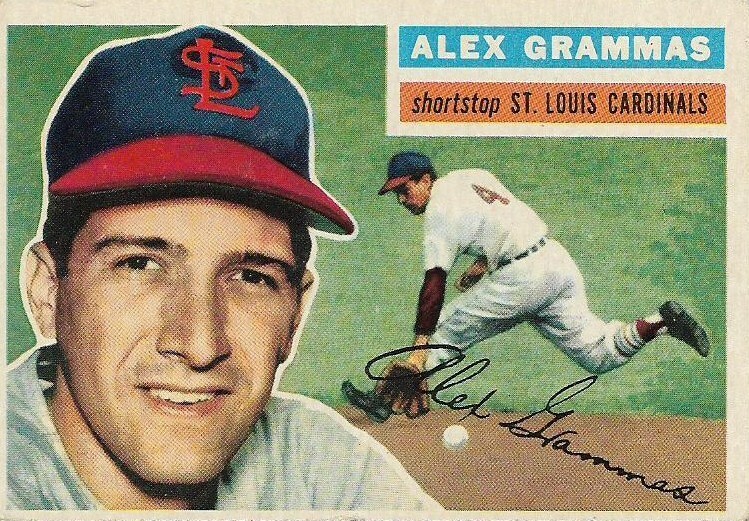 For instance, Alex Grammas. 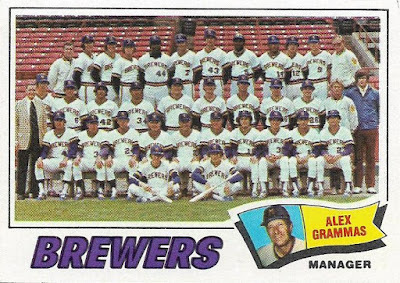 I had no idea who Alex Grammas was, other than that he was the tiny "old" man in the inset picture on the Brewers' team cards. 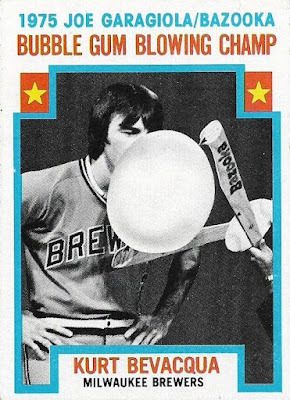 As far as I was concerned, Topps could have made him up and plastered some random picture on a baseball card. 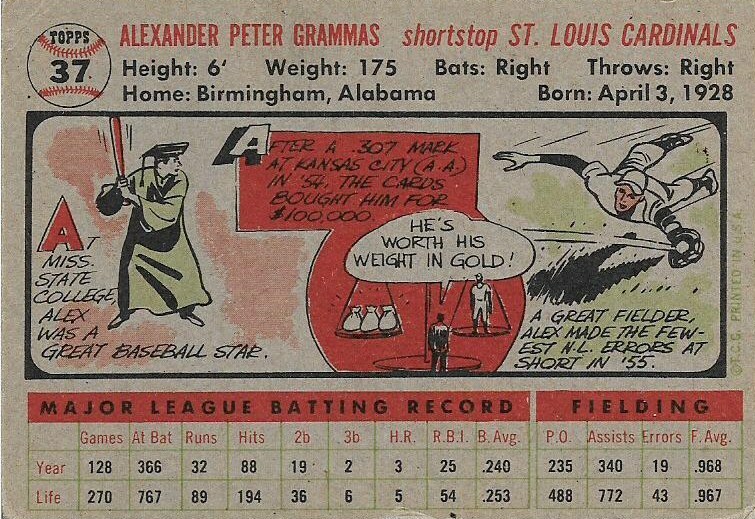 "Sure, Alex Grammas? I'll go along with that." Only two years earlier I believed that a giant bunny broke into my house and opened cupboards and drawers to hide baskets of candy. Alex Grammas I could handle, too. But Alex Grammas was very real. And pretty notable, too. His playing career diminished after this card. 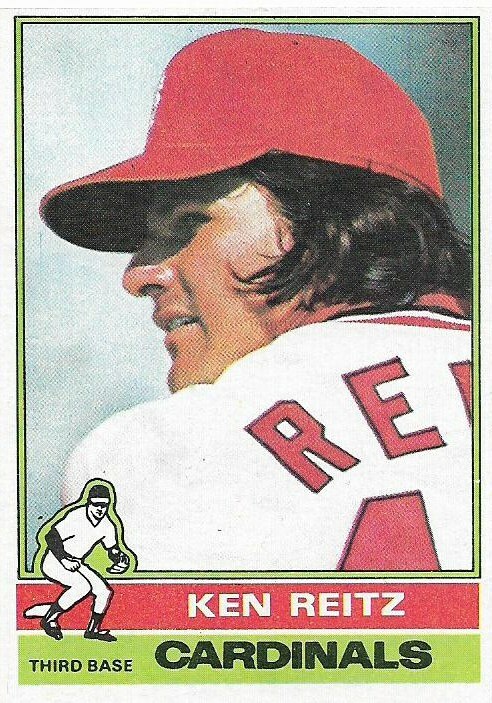 After two years as pretty much the starter at shortstop for the Cardinals (combining with Red Schoendienst on double plays), he fell into a utility role for not only the Cardinals, but the Reds and Cubs. 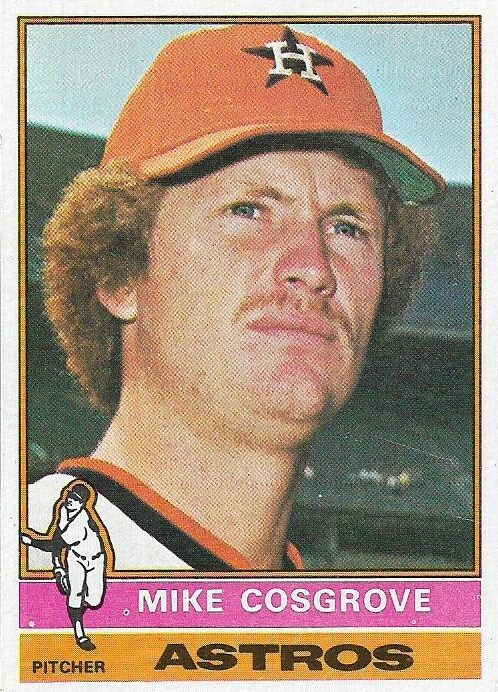 He last a full decade in the majors, though, unbeknownst to me. 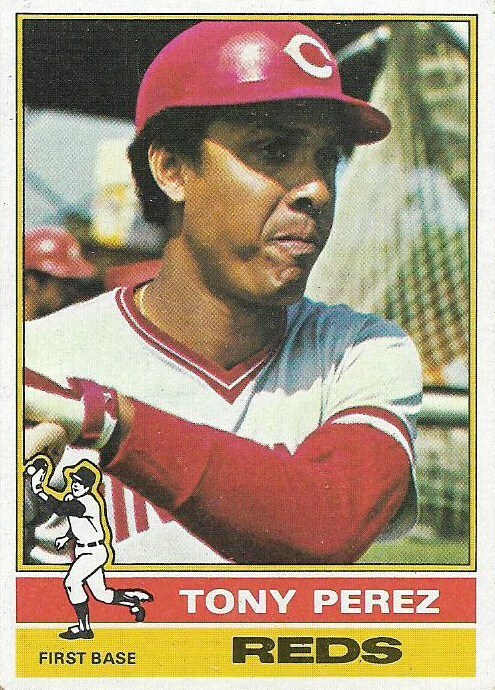 Then, he built a reputation as the best third base coach in the game, directing the Big Red Machine during the early '70s, and then later following Sparky Anderson over to Detroit to do the same with the perennial playoff-contending Tigers in the '80s. Along the way, he shaped the careers of Joe Morgan, Pete Rose, Davey Concepcion, Alan Trammell and Lou Whitaker. In fact, the managing period -- the period where I knew him -- didn't turn out so well. 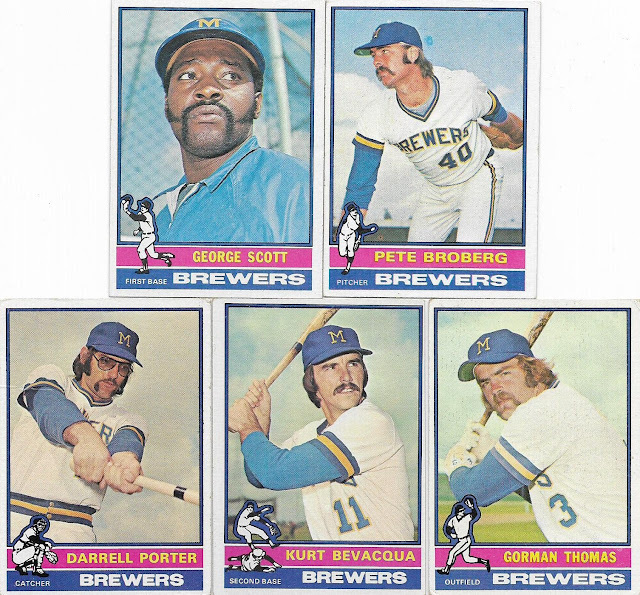 (Trust me, clean-shaven Broberg and Bevacqua are wearing Brewers unis under that airbrushing, and don't appear too happy about it). All of this was going on while I didn't know whether Alex Grammas was real or not. 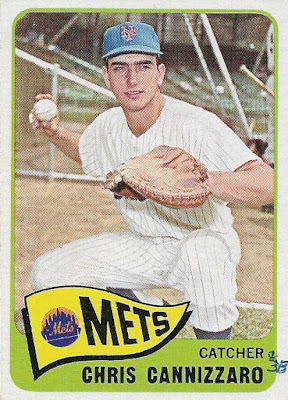 But he was real, made his mark -- he's the first Greek-American to manage a major league team -- and had an impact on what your baseball card photos look like. 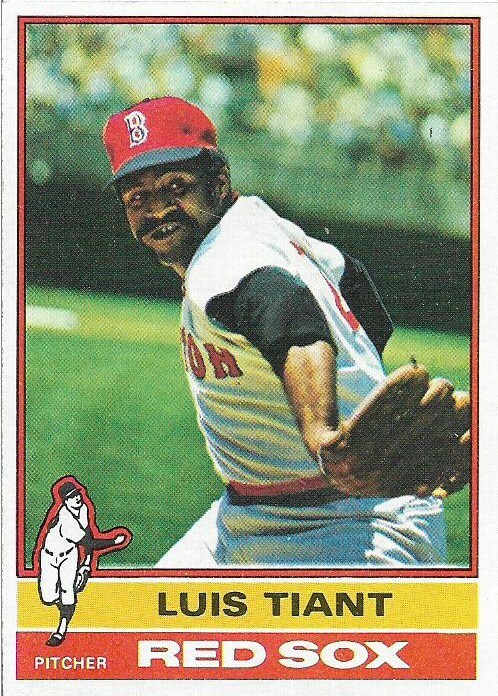 After exiting the game at age 65, he's still around at 89 years old. Oh, and he also played. There's more to a manager than the dumb decisions he makes in the dugout. 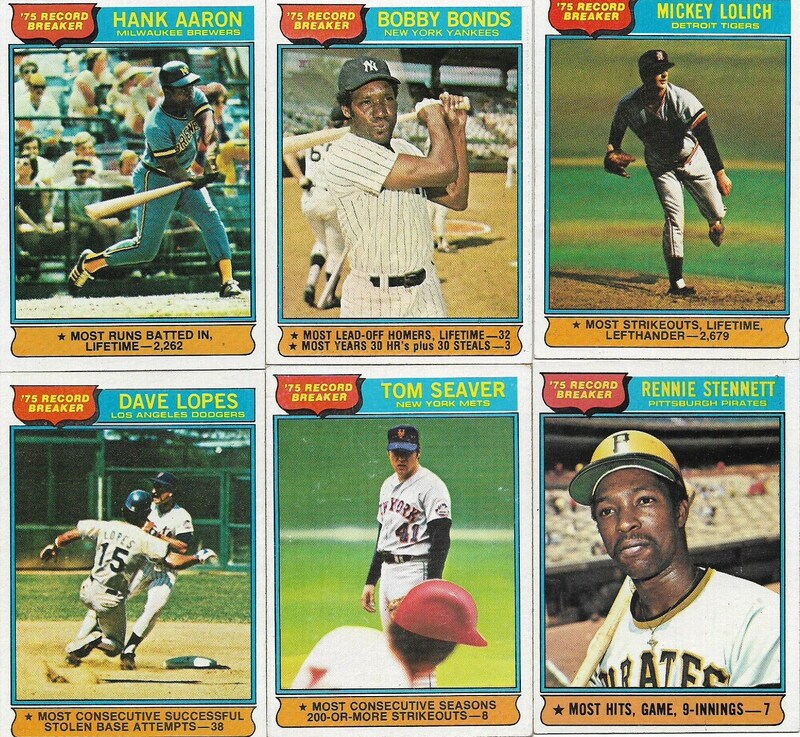 Now that I'm entering the top 10 in the all-time Topps set countdown, I'm wondering why the flagship set can't be as amazing as these sets are every year. 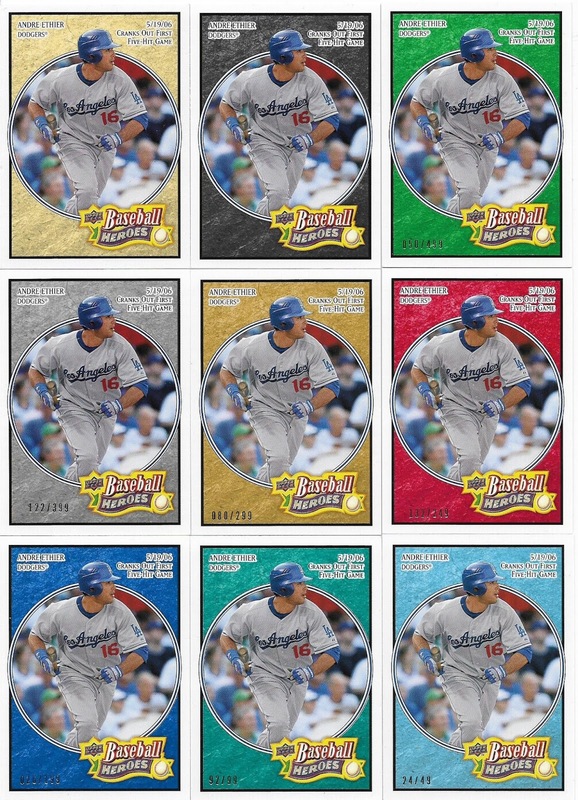 Although Topps seems to give us basically the same thing each year, I don't know how consistent they are from set to set. Maybe not for a lot of collectors, but for me, the progression from 1995 Topps to 1996 Topps is not just a step backward, but a step backward off a cliff. There are plenty of other cases like this, too. 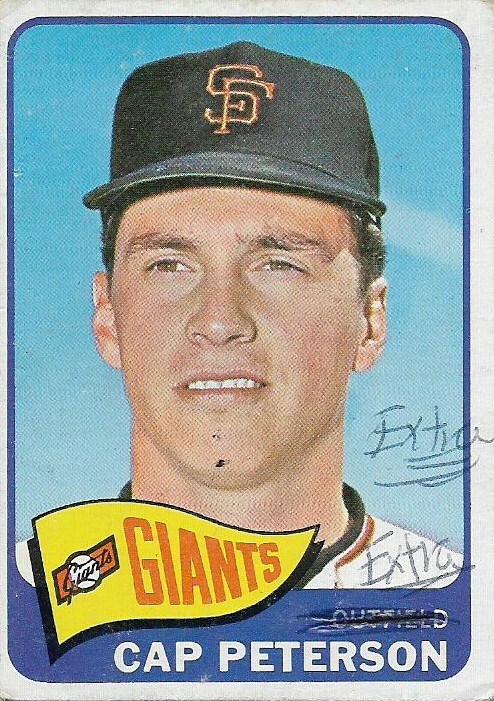 1966 Topps is not 1965 Topps and 1990 Topps is not 1991 Topps. Some of this comes down to personal preference, but there are plenty of sets that the majority of collectors like while there are others that the majority do not like. So, why is that? Was it just a bad year, or conversely a really good year? Did everything click? Was there a shake-up in research in development? Was the design team loopy on paint fumes? As collectors, we'll never know. All I know is that some sets I love to my very core, and others could disappear tomorrow and it'd be two years before I discovered they were missing. I suppose this is what happens when you obsessively examine cardboard. So, anyway, all of these sets are terrific. Some of the best. Only the greatest of the great -- genius sets, really -- can surpass these four sets. In other words, these sets get an "A," but not an "A+". A few days ago, there was a fascinating post on The Topps Archives blog, called "Mocking Day". 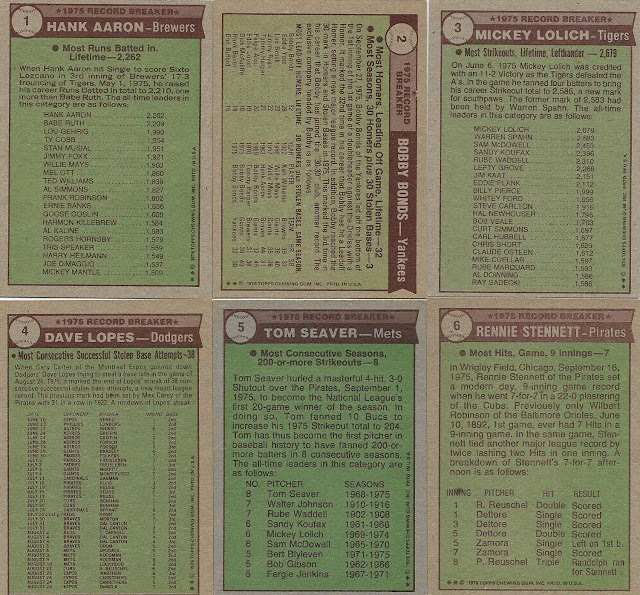 It documented several "mock-ups" of various Topps vintage baseball card sets, as designers worked on what the cards would look like for the coming year. One was a mock-up of the 1962 Topps set, in which there was speculation that the design for the '62 set could have been drawn up as early as four or five years prior to '62. That makes sense, because I've always considered the '62 set more in line with a '50s set than a '60s set. 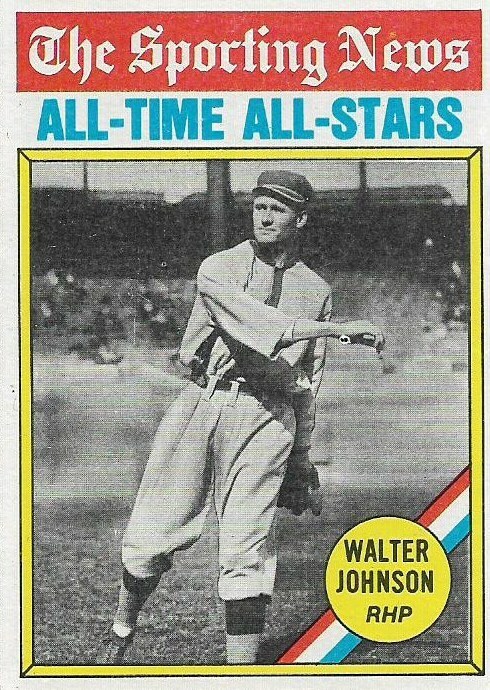 It's old-school vintage with one of the most classic designs ever created for a baseball card. If the "peeling poster on a wooden fence" design doesn't put you in mind of "Leave It To Beaver" episodes then you're either too young or you just don't get it. The '62 set is one of the most recognizable baseball card sets ever made. 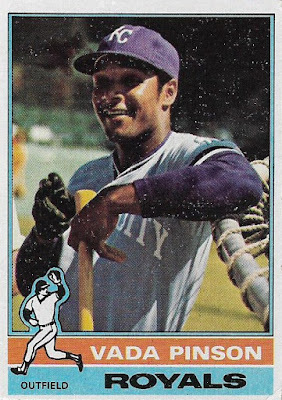 This was taught to me way back when I was first learning about vintage sets in the late '70s/early '80s. 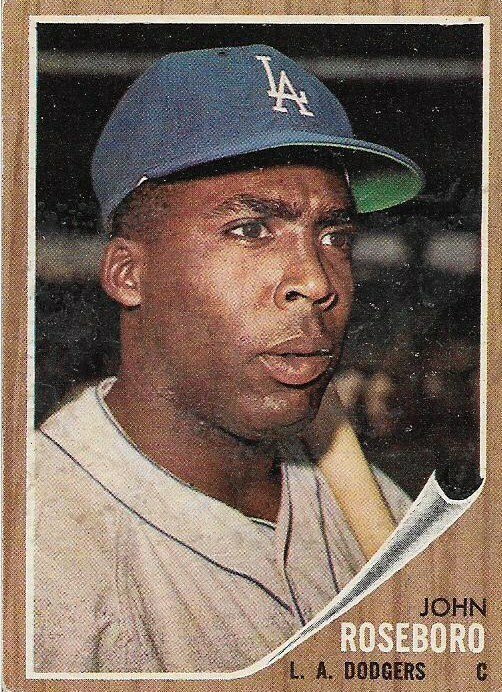 The '62 set was REVERED and possibly the most enthusiastically collected set that I knew. Even today there are frenzied collectors of '62s, simply because of the crazy variety in this set. (You're going to have excuse the pen marks, etc. on these cards) You see, the '62 design may have been absolutely inspired, but the execution of the cards is all over the map. 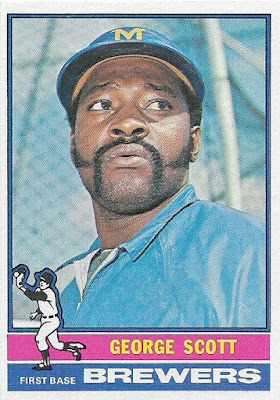 You have players with two different images in this set. You have green-tint variations. You have card numbers on the back that look different from one series to the next. 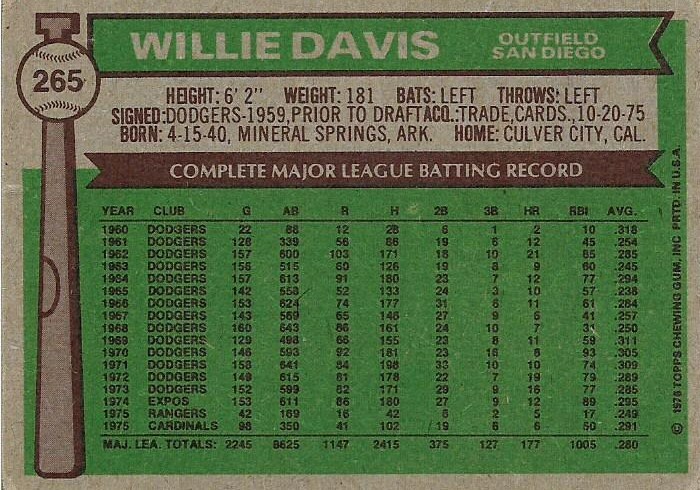 This set was designed to be collected decades after it was created. Since the set has such an old-school look and feel, the photo selection isn't the greatest. There is some airbrushing, but what I notice most is the huge number of brush-cuts in '62 Topps. 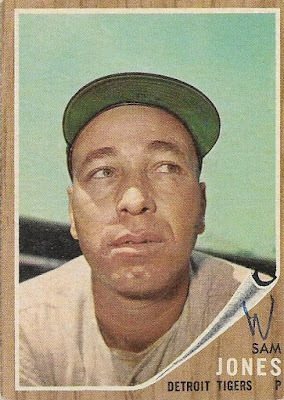 I don't know if there are more hatless cards in '62 than any other Topps set -- probably not -- but it sure seems that way. The "oldness" of this set -- place it next to the sets from 1960 and 1963 and it seems like it was created at least 20 years earlier -- causes it to lose some appeal with me. But I can't let my color bias take away from the fact that there are cool photos mixed in here. 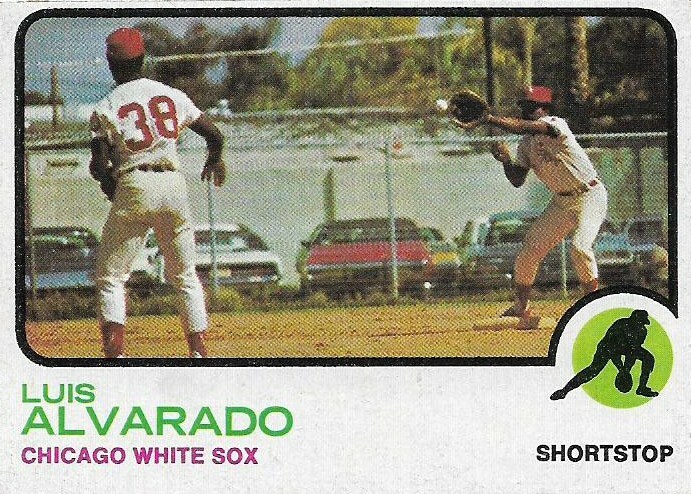 This set marked a sizable leap in collecting for Topps. Not only is it the first set with a noticeable (nonwhite) border, but it's packed with elements that would be staples of future sets. 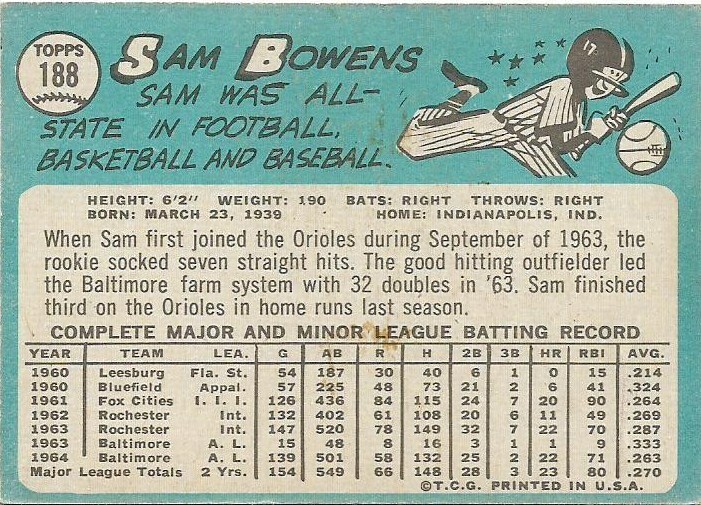 The '62 set contains the first multi-player rookie cards, the first "in-action" cards, and includes a rather random 10-card tribute to Babe Ruth. 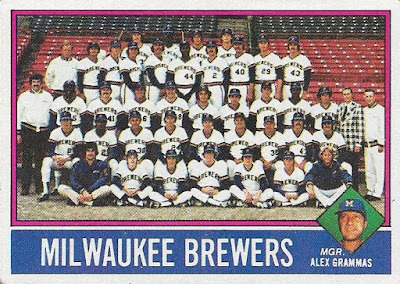 But as far as I'm concerned, its wood-panel design (later mimicked by 1987 Topps) is why this set is ranked where it is. To me, the sign of a great set is its lasting power, its ability to remain memorable years after it was made. The '62 set has remained in many collectors' memories for decades. It is not easy to forget. Yeah, it looks pretty damn old (these card backs have always looked ancient to me), but you can still be old and relevant. 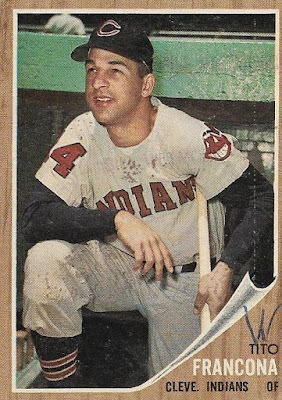 After all, aren't collectors still hassling Topps about making another wood-bordered set? 1. 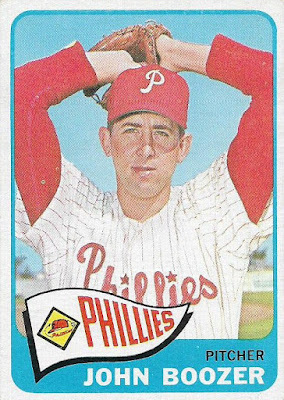 It was the first 660-card set, which would be the norm for the next five years. 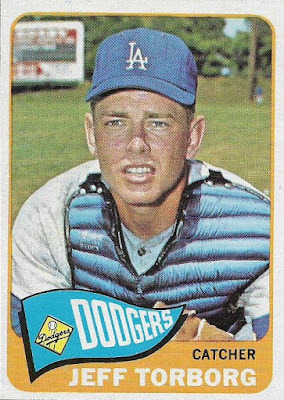 It was also the last set to be issued in several series for decades. 2. 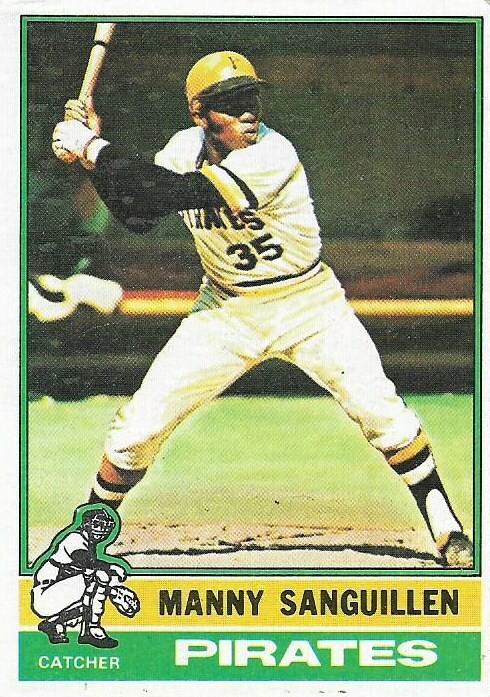 It contains Roberto Clemente's final card and Mike Schmidt's first. 3. The little position shadow guy in the corner. 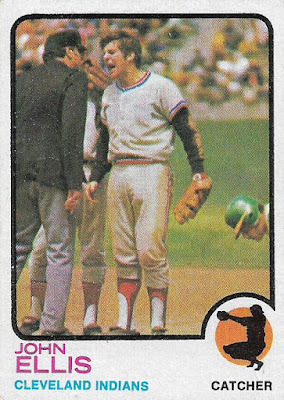 Since the advent of blogs, though, the '73 Topps set has grown in stature as writers highlight its many "interesting" action sets and praise what could be considered as incompetence on cardboard. 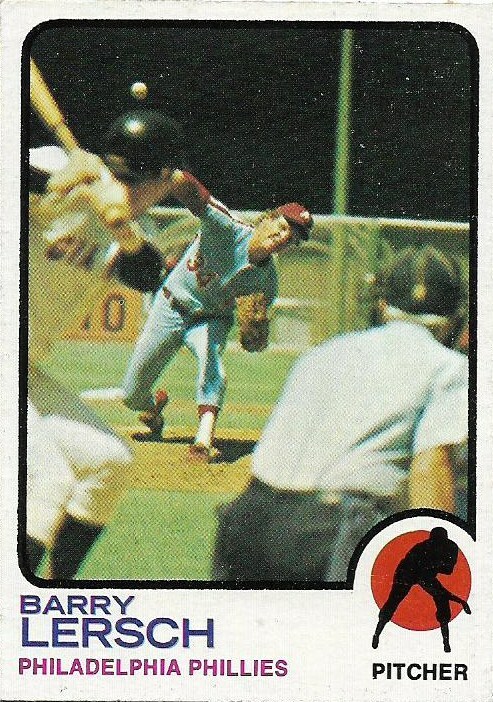 These "reality altering" airbrushing jobs give '73 Topps a look all of its own. 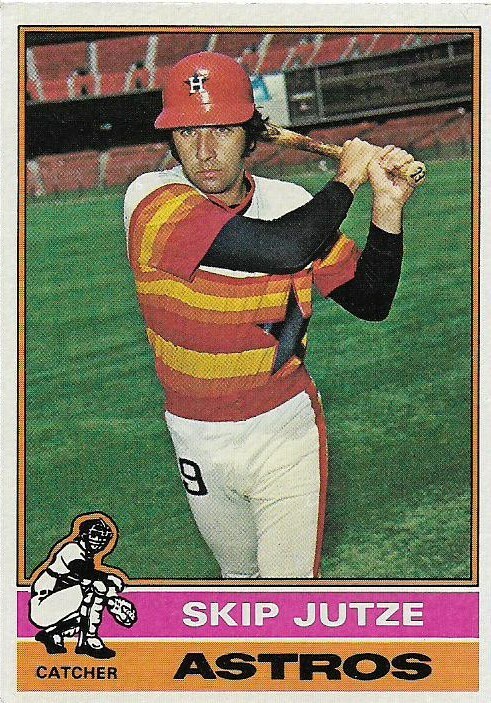 And decades later we can look at it like we look at the clothes people wore in the '70s -- isn't that awful? Isn't that great? 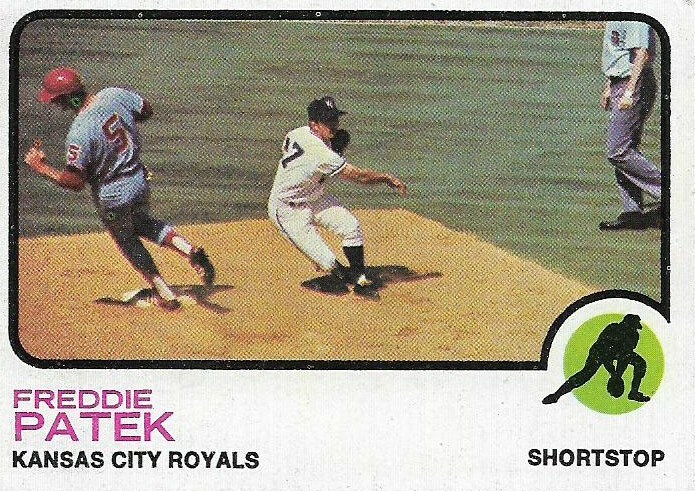 1973 Topps marked the next step in action photos in cards. 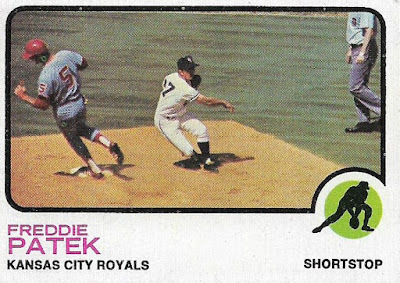 In '71, we had the first base-card action photos. 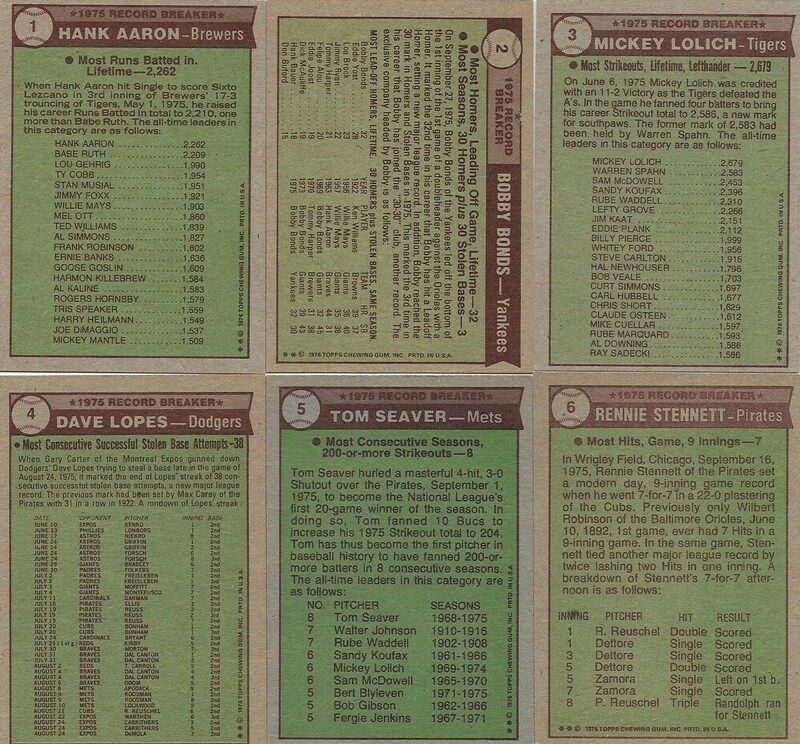 In '72, we had a set devoted to a large subset of action cards. 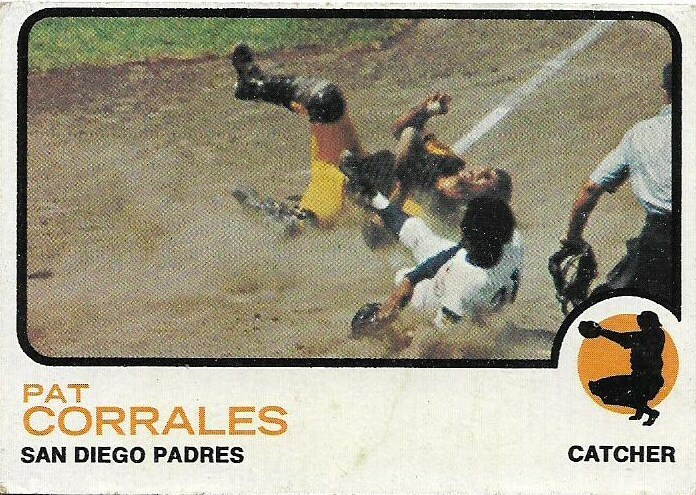 In '73, Topps stepped up its game with even more action photos. They may not have been the best pictures, but they were certainly interesting -- some depict action that I don't think we've seen on a card since -- and memorable. 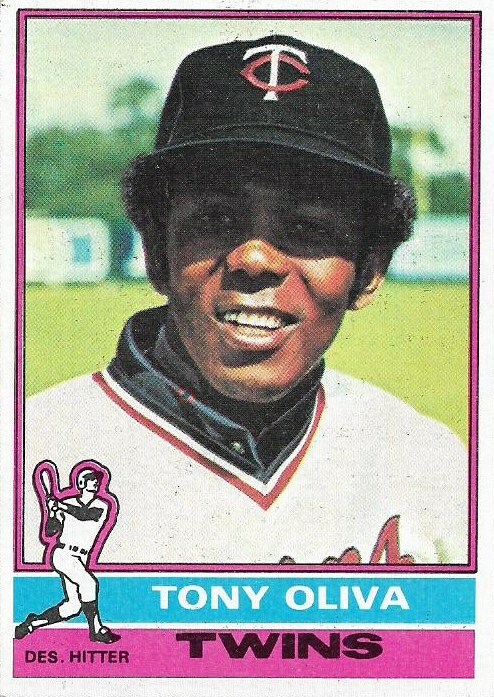 Still, there are elements that have made '73 Topps one of the overlooked sets of the '70s until very recently. For one, the border is white. After the first three years of the '70s, collectors had started expecting crazy border colors every year -- and then they came to 1973 with its vast white border. Because of that, the set was considered plain. For decades. The size of the border also cuts down on the photo size, which is particularly notable with some of the action shots. They could have been even better. 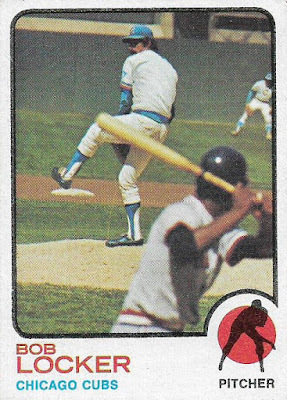 Finally, as much as the action shots make this set, there are many, many more cards like Von Joshua here. Dude standing in a field. Not that there's anything wrong with that -- but I think sometimes '73 Topps' "trend-setting" ways are overstated. It's a rather interesting set. A quirky set, even. But there are mistakes all over it. I think the mistakes are charming and I know others do, too. But looking at it as impartially as I can, I know other collectors see ... well, mistakes. The '73 set features among the greatest cartoons ever to appear on baseball cards. Informative, personal, witty. And a black-bordered back is very cool. There is just enough stuff like this to put the '73 set at No. 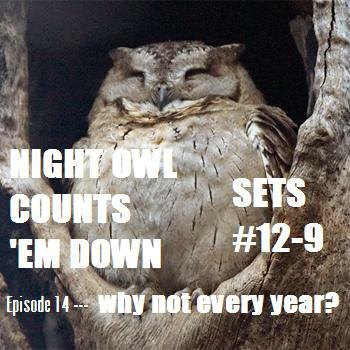 11 -- something that would have never happened before bloggers started hailing this set over the last few years. Personally? I don't know what took us so long to realize greatness. 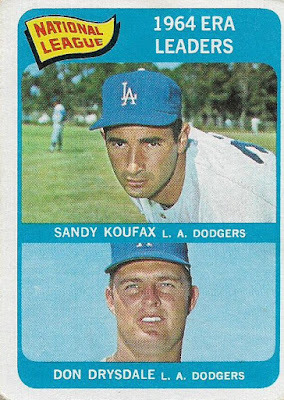 The '60s may not be my favorite decade for card sets, but it nailed it in terms of memorable sets with two of 'em -- 1962 and 1965. 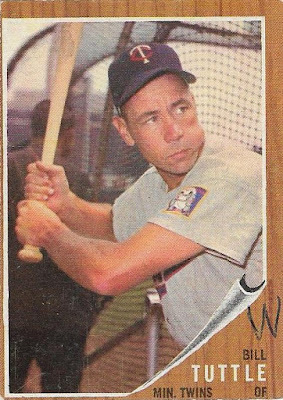 This isn't the first time that pennants appeared in the design on a Topps card (1960 manager cards, yo), but it is the first time that Topps incorporated them into the design of virtually every card in the set. 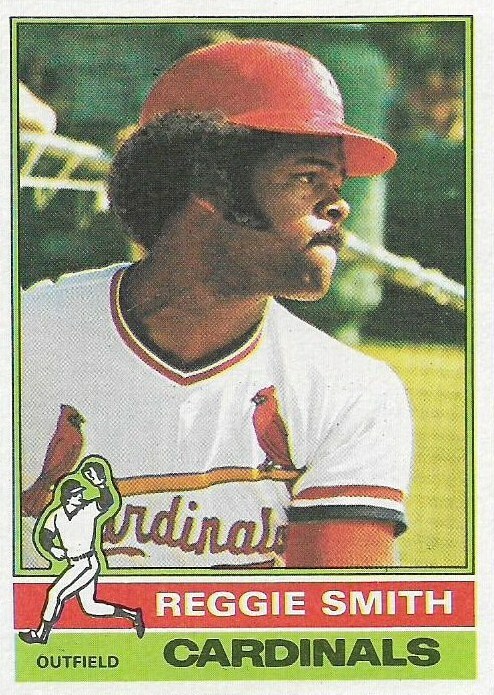 It's a look that makes you wonder why it took Topps more than a dozen years to come up with it. 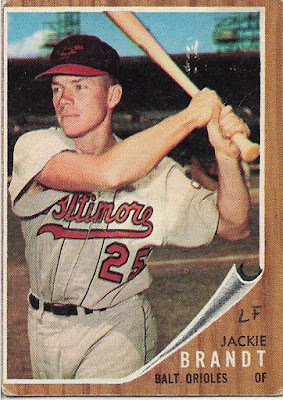 And then you hope it did take Topps a dozen years to come up with it because why did we suffer through 1961 Topps if they had this in the shed? 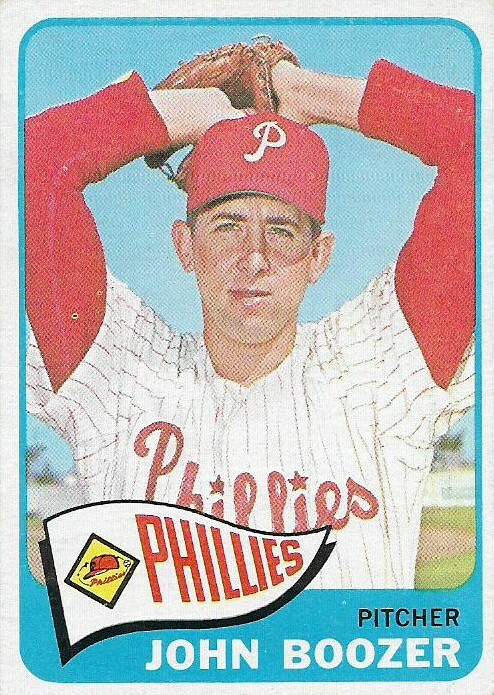 The '65 set, like a few others, says "baseball card". It just does. And, until recently, it was my favorite Topps set of the '60s. It has almost everything you want. Bold colors. Large team names. Large photos. 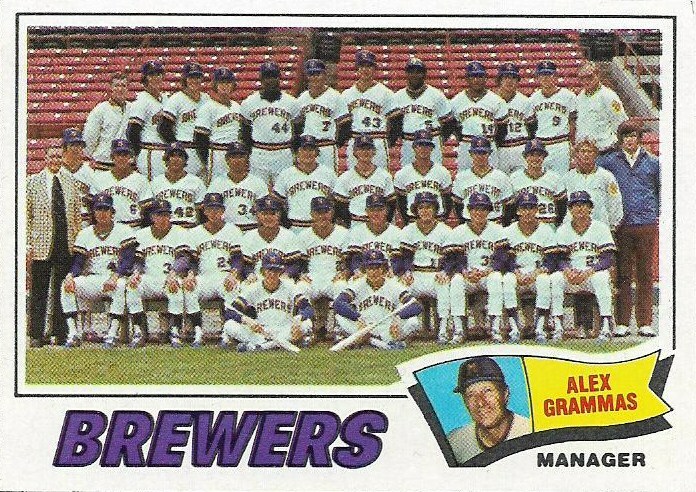 I'm proud that this is the set that arrived the year I was born. But I do hold a little grudge when it comes to '65 Topps. ... when they could have looked like this. I'm talking about the border color, of course. Sure, the pennant flag is blue on the Torborg card. But gold for the border? 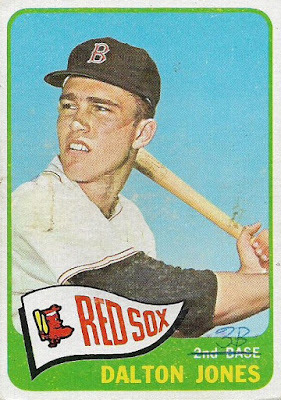 Agreed, part of the charm of '60s and '70s cards were the random colors given to teams -- green for the Reds, pink for the Yankees, purple for anybody. 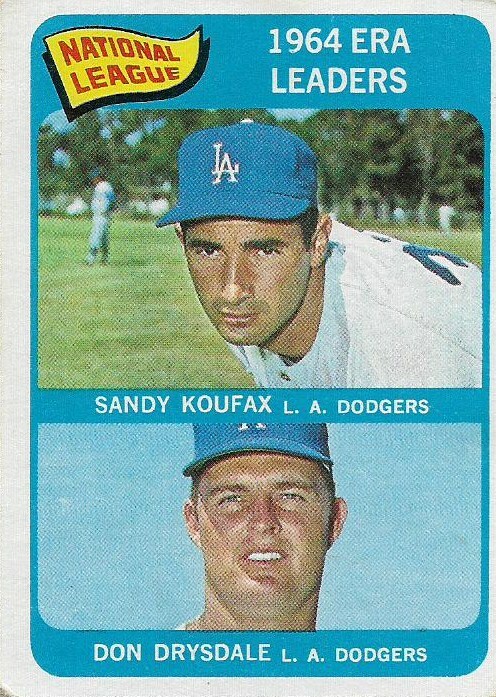 But when you see the blue-bordered Koufax-Drysdale leaders card it automatically makes you think -- what if? It could have been even greater. (Again, excuse the scribbles). The border colors used for some teams is simply too jarring for me. Especially the purple for the Giants and the Twins. 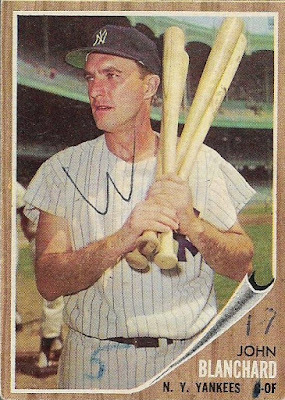 I remember digging through a box of old cards at pawn shop several years ago and coming across the purple '65s. Bleah, I thought. 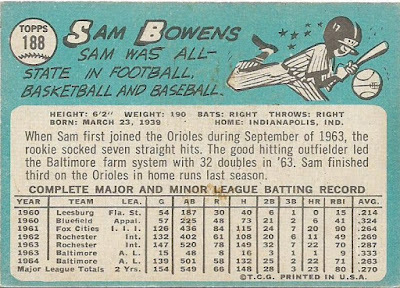 That said, I adore any of the green-bordered cards, the blue of the Phillies and Angels and the gray for the Orioles and Colt .45s. And kudos on the team logos and again the large space for the photo. Oh, and blue backs rule. I mentioned in an earlier post that I've been binge-watching past All-Star Games on youtube. 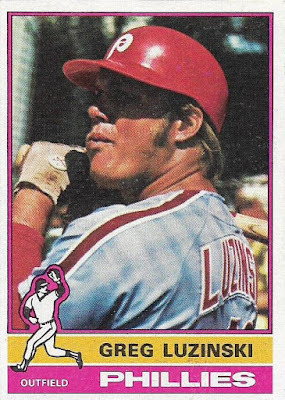 Just yesterday I was watching and Greg Luzinski came to the plate. Suddenly, I remembered my affection for Luzinski as a kid. I wondered why that was, and it took me almost no time to remember this 1976 Topps card. 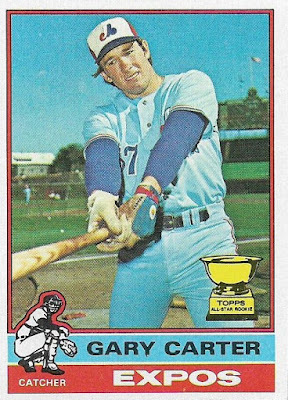 This was one of my favorite cards at the time. I simply adored it. 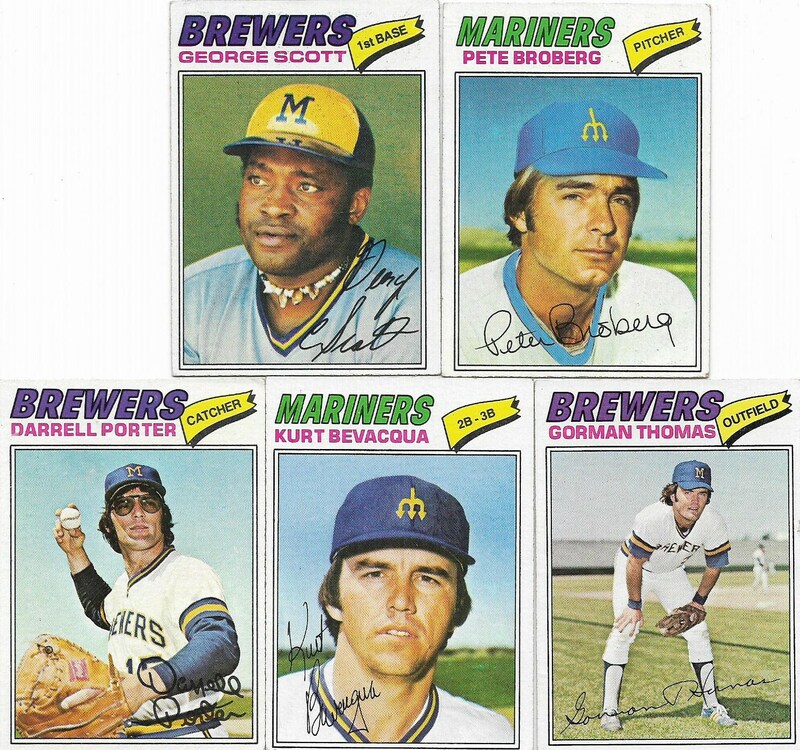 And that is what the 1976 Topps set is for me. 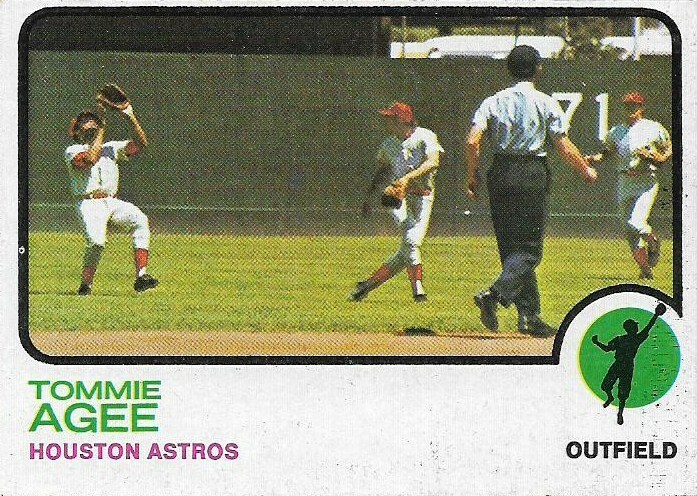 A little kid marveling over so many cards in the set. There are so many favorites, I can't scan them all. And this one. ('76 Topps has some great batting cage shots). 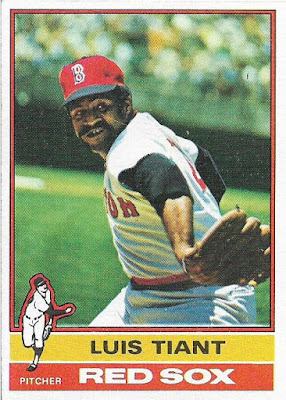 I read in the Standard Catalog of Baseball Cards quite a while ago that '76 Topps marked the time when Topps dedicated itself less to design and more to the photo. It makes sense. The photos in '76 Topps are larger and feature more clarity than the sets that preceded it. 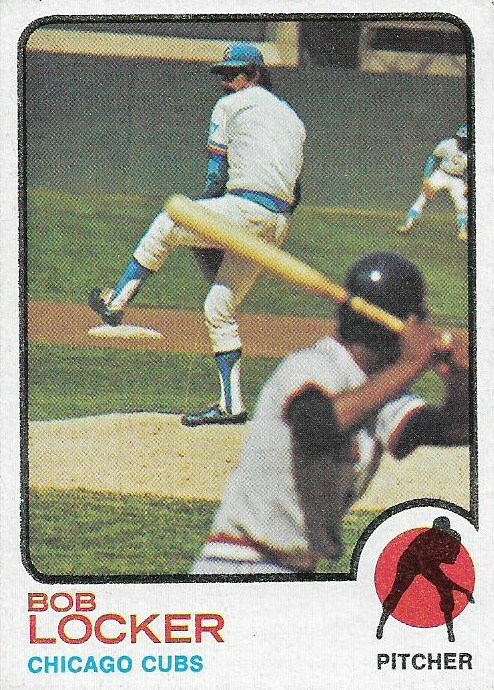 I have a tendency to compare '76 Topps to '73 Topps, because each features a little drawing depicting the position. 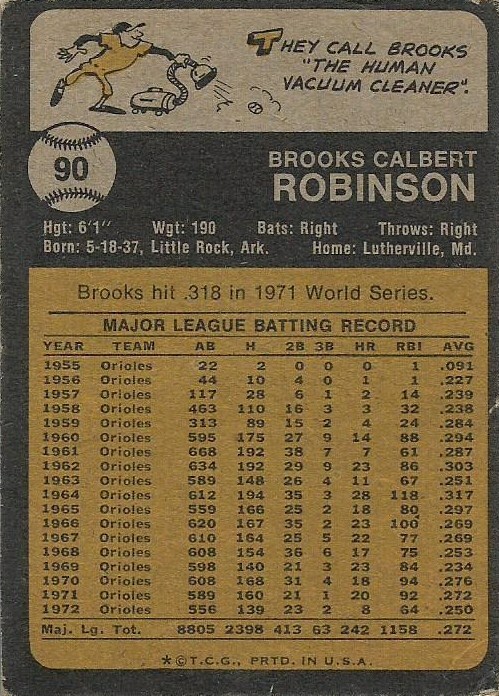 I prefer the '76 drawing, probably because I collected '76 as a kid, but not '73. But I like the realism. To me, '76 Topps is '73 Topps improved in several ways. Better, more professional action shots. A better-looking all-time greats subset. Better leaders cards (Olympic podium style! Fantastic!). But definitely not better backs. Who can read that? 1976 Topps has some of the most spectacular looking All-Star cards, showing All-Stars like All-Stars should look like -- like damn All-Stars, damn it (not like Topps Update all-stars). 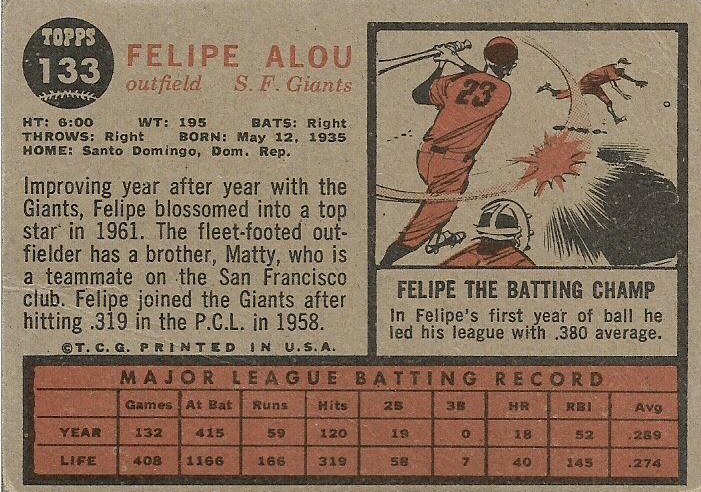 And it also has my favorite record-breaker subset of all-time. This is how the '76 set starts. 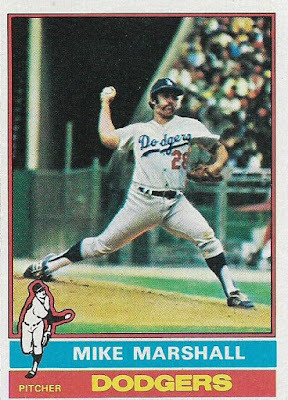 I'd have a hard time keeping the Dave Lopes card off my top 100 favorite cards. And these are the backs. Just glorious. I've thought these were fascinating since 1976. 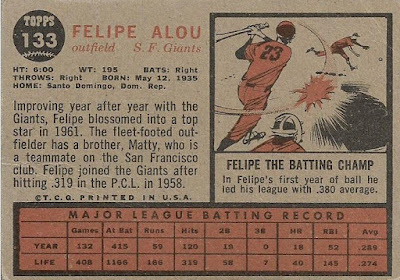 Some record-breaker cards give you boring write-ups. These give you detailed stats! I poured over the Rennie Stennett rundown repeatedly as a kid. 7-for-7? I had to see how it was done! ... that freaked me right out. But you can't discount the first time the Astros wore their rainbow uniforms on a card (with a PINK nameline!). 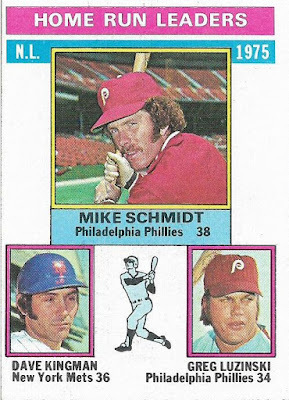 The '76 set reminds me of collecting in fifth grade, hiding the cards from my teacher. 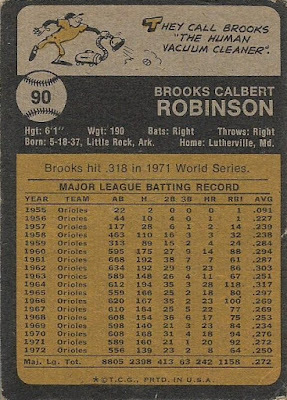 It's not the greatest set, but it's pretty terrific (I didn't even show the Johnny Bench card or the Pete Rose card or the Carl Yastrzemski card or the Carlton Fisk card or the Reggie Jackson card or the Vida Blue card ...). Ladies and gentlemen, we are in the Top 10. So, what's good in Ginter?